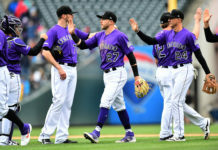 The Colorado Rockies have lofty expectations coming into the 2018 season as they look to improve on an 87-win season and playoff appearance. To meet and exceed those expectations, the many talented young arms the Rockies have in their starting rotation will have to play a part. Denver native Kyle Freeland, who tied for the team lead in wins in 2017, is working hard this offseason to help his team take the next step. 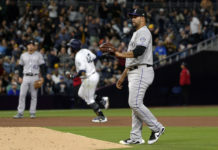 Freeland, who isn’t a stranger to big moments, started the home opener in 2017, getting the win in a 4-1 victory infront of a sold-out Coors Field. Freeland finished the year tied with fellow rookie German Marquez with 11 victories. He also finished with a 3.3 WAR, the best among Rockies pitchers in 2017. Building strength and putting on “good weight” in muscle was a focus for Freeland this offseason. Through eating right and expanding his fitness regimen, the 23-year-old says he’s done just that. 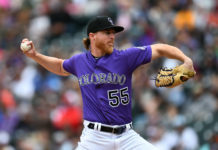 Freeland joined Eric Goodman and Les Shapiro of Mile High Sports AM 1340 | FM 104.7 to explain the changes in his offseason preparation. A real focus for Freeland heading into his second season was being prepared for the rigors of a 162-game Major League season. “For me, looking back on the 2017 season, my rookie year, the thing was stamina. I always prided myself on stamina, but it’s completely different when you get in the big leagues. The seasons are much longer, the innings take a toll on you much harder. Pitchers and catchers are in Arizona, with their first workout scheduled for Valentine’s Day. The first full-squad workout is Monday, Feb. 19. 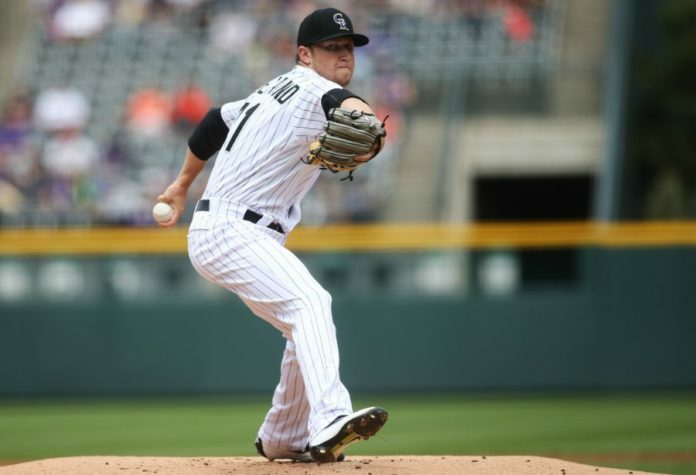 The Rockies open Cactus League play on Friday, Feb. 23 against the Arizona Diamondbacks. Click here to listen to the full interview with Kyle Freeland, including what he had to say about his walk-up music tastes, his fellow teammates and more, or listen to the podcast below.